The Cup ends in the Semis for Club Brugge. Blauw-Zwart beat Standard 3-2, but this didn't make up for last week's hefty 4-1 defeat in the first leg. Club's goals came courtesy of Vanaken, Diaby and Clasie. Two personnel changes in coach Leko's team, with Kenneth Vermeer coming on for Vladimir Gabulov, and Marvelous Nakamba replacing Jordy Clasie in midfield. In defense, Mechele teamed up with Mitrovic and Scholz. A win by at least a three goal margin is what Club needed, and Blauw-Zwart started out with lots of passion and intensity. This resulted in two excellent chances: Nakamba's shot chipped off a defender, while Vanaken headed Vormer's corner kick over. Club's beliefs in a remontada rose, but were stamped out moments later: a corner kick reached Orlando Sa by the far post, heading in the opener, making the task at hand even more strenuous for Club. The goal clearly cut Club off, and moments later it took a good Vermeer to deny Cop from tapping in the visitors' second. Alarm bells chimed, and Club stood up, pinning Standard against its own goal. Nakamba saw another shot blocked, Limbombe's attempt hobbled just wide, and as Wesley pivoted and aimed at goal, he saw the ball go centimeters wide. The equaliser came with minutes to play in the first half. A free kick from a fair distance was neatly curled into the top hand corner by Vanaken. One minute later, another Vanaken fee kick was duly parred by Gillet. The last first half chance was for Mechele, heading Vormer's corner just wide of target. Winning time at every occasion, les Rouches tried to keep Club from developing a high pace. It took some time for chances to follow, but upon the hour mark, the first shot at goal proved golden: Vormer put Diaby through on goal, lobbing Gillet and restoring hope to the home audience. Two more goals would mean prolongations. Club now really started mounting the pressure, leaving much room in the back. This lead to two excellent Standard chances: Vermeer was called upon to deny Fai's shot, and later also cleared Carcela's attempt. Club played with fire, and with twenty minutes to go, the deciding goal fell: Mpoku put Renaud Emond through, slotting in the deadly 2-2. Emond's fourth goal in the double encounter with Club. Club, taken aback, kept surging forward, and was rewarded a bit later as Jordy Clasie's fine long range shot surprised Gillet and made it 3-2. Time was too short and energy too low to complete the turnaround, meaning Club Brugge leaves the Club stage in the Semi Finals. Standard will be taking on KRC Genk in the Cup Final on 17 March. 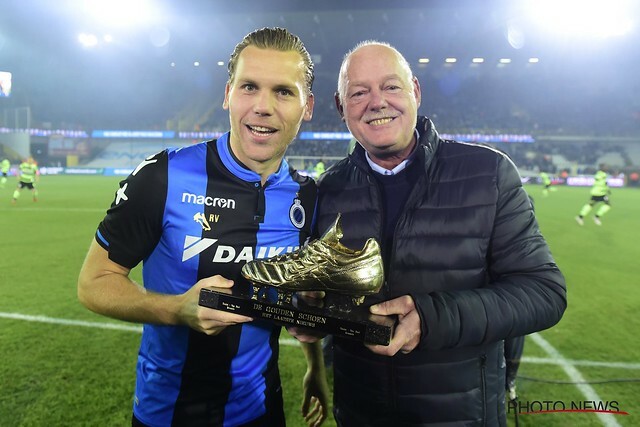 Club Brugge: Kenneth Vermeer – Matej Mitrovic, Brandon Mechele, Alexander Scholz – Dion Cools (59’ Ivan Tomečak), Marvelous Nakamba (69’ Jordy Clasie), Ruud Vormer, Hans Vanaken, Anthony Limbombe - Abdoulay Diaby, Wesley Moraes (76' Jelle Vossen). Bank: Vladimir Gabulov, Stefano Denswil, Ahmed Touba and Krépin Diatta. Coach: Ivan Leko. Standard: Jean-François Gillet – Luis Pedro Cavanda, Christian Luyindama, Kostas Laifis, Collins Fai – Renaud Emond (93’ Renaud Emond), Razvan Marin, Uche Agbo, Paul José Mpoku (78’ Gojko Cimirot) – Orlando Sa (46’ Mehdi Carcela), Duje Cop. Coach: Ricardo Sá Pinto. Yellow: Mpoku, Gillet, Sa, Laifis, Agbo, Vormer, Marin, Vanaken. Goals: 4’ Sa (0-1), 41’ Vanaken (1-1), 62’ Diaby (2-1), 71’ Emond (2-2), 75’ Clasie (3-2). Jelle Vossen: "Kudos to the new guys"
Hans Vanaken: "Good preparation as we go into the new season"